Heroes of Sport know the time and sacrifice it takes to realize dreams. Heroes of Sport manifest bravery and never give up. Heroes of Sport believe that sports make us whole. For individuals with physical challenges looking to pursue athletic goals, the hero journey isnâ€™t as simple. Finding the right equipment, community, coaching and programs can be met with financial challenges, lack of mentors and limited opportunities nearby to participate. In CAFâ€™s record breaking 2019 grant season, the barrier to sports for 3,260 athletes has been lifted. 4.8 million dollarsÂ has been granted for adaptive equipment, coaching, mentoring and competition expenses. Because of this support, new heroes of sport are now on the path to playing and accomplishing more than ever on their authentic quest to success in athletics and in everyday life. Our community of grant recipients represents individuals looking to explore new athletic interests and those seeking excellence in a sport that has already captured their heart.Â There are no limitations on our future heroes of sport â€“ wheelchair rugby and WCMX warriors, a 6-year-old basket-baller, a female empowered wheelchair racer from Egypt, Paralympic hopefuls and more. Courage and resilience are about to take center court; these heroes are just getting started. Bio: Shelby is a lifelong athlete and new father. The movie â€œMurderballâ€ gave him hope after a sudden car accident and spinal cord injury threatened to take the full life he once knew. Shelby threw himself into Rugby right after rehab and he has since found himself again through sport. A CAF grant will allow Shelby to put down his borrowed chair and excel in his own, custom fitted rugby chair. 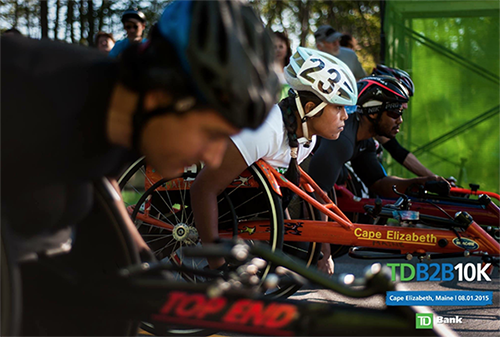 Sport: Wheelchair racingCity: Cape Elizabeth, MEGrant: Racing ChairDisability: AmputeeBio: Christina has never let anything stop her, including her congenital limb difference. As a freshman in high school, she was tired of being the â€œTeam Managerâ€, so she lobbied for a law change that would allow her to earn points for her schoolâ€™s track and field team in a racing chair. Ever determined, Christina is working towards her teaching credential and has picked up a passion for Nordic Skiing. Her CAF grant will allow her to continue racing, defying all laws and limitations. 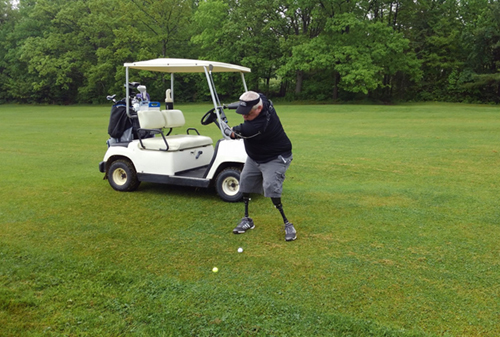 Sport: GolfCity: Canisteo, NYGrant: National Competition ExpensesDisability: AmputeeBio: James is a nightclub DJ, a substitute teacher, a hunter and fisherman, a former high school baseball player, and now, a golfer. He does all of this while missing all four limbs. James was recently featured as the spotlight story on The Golf Channelâ€™s Emmy Award nominated feature, â€œLimitlessâ€. Jamesâ€™ first-ever CAF grant will open the door to golf competitions around the country. 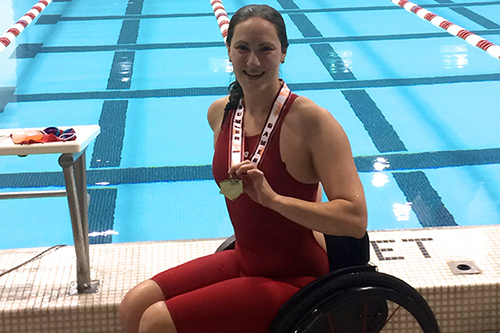 Sport: SwimmingCity: Roslindale, MAGrant: National Competition ExpensesDisability: ParaplegiaBio: Swimming has been lifesaving for Meredith, a former runner and operating room Clinical Specialist. At the promising and healthy age of 24, Meredith never expected to become the patient. She was crushed by a piano that fell out of a pickup truck, leaving her with a spinal cord injury that resulted in paraplegia. Meredith stumbled into a CAF swim clinic in Boston and it was there she felt her new athletic calling to swimming. This CAF grant for competition expenses will allow Meredith to train for her goal to make the US Paralympic swim team. Sport: Wheelchair BasketballCity: Walden, NYGrant: Basketball ChairDisability: Spina bifidaBio: Rylan is a big brother, a good student, and a kind-hearted yet competitive wheelchair basketball player and surfer. In his 6-years of life, Rylan has beat the odds at every turn while living with Spina Bifida. 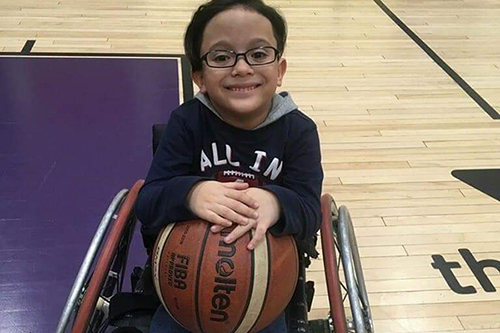 Rylan is the youngest athlete at his local adaptive sports club and his CAF grant for a new basketball wheelchair will help him keep up with the big boys and continue to excel on and off the court. Sport: WCMXCity: Bradenton, FLGrant: WCMX ChairDisability: Spina BifidaBio: Easton is a second grader who comes alive with confidence when heâ€™s shredding at the local skate parks. 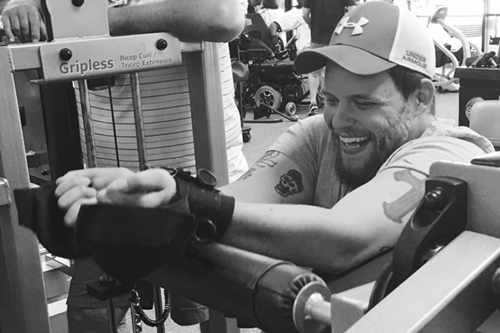 Easton was born with Spina Bifida and is using his unique perspective to promote change. 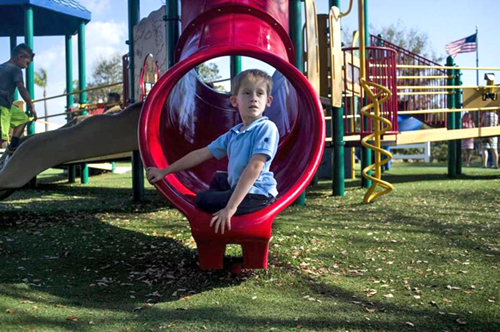 He is the face behind a nation-wide project to build three inclusive playgrounds â€“ the first one being in his hometown. Easton embodies CAFâ€™s mission and will use his very own WCMX chair to continue developing and thriving in a sport he loves. 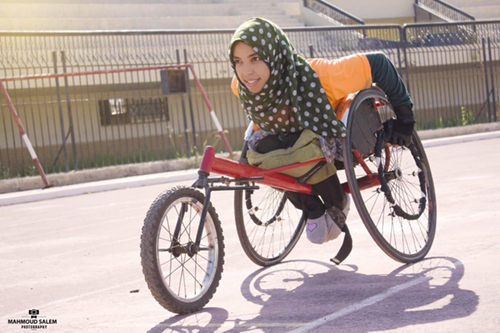 Sport:Wheelchair RacingCity:Mansoura, EgyptGrant:Racing ChairDisability:PolioBio:Hoda is using her passion for wheelchair racing to break down barriers in every way. Born with Polio, Hoda dabbled in adaptive sports, but nothing captured her heart more than the male-dominated sport of wheelchair racing. Last year, Hoda impressively placed 2nd and 3rd in multiple races against her male competitors. A CAF grant for a new racing chair will allow Hoda to carry on her dream of representing Egypt on the worldâ€™s stage. 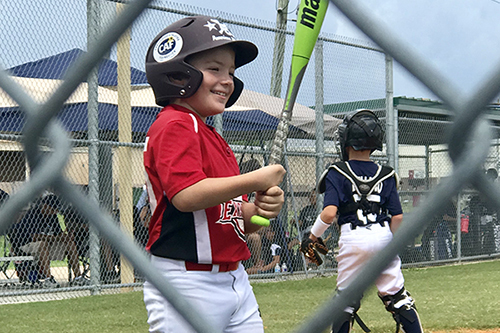 Sport:BaseballCity: League City, TXGrant: Coaching/Training ExpensesDisability: Limb deficienciesBio: 10-year-old Keith has a determination and drive that far surpasses his young age. Keith was born missing his right hand, and despite hesitations from his parents, he was bound and determined to play baseball. Soon enough, Keith had earned his spot as a first baseman and become one of the best batters in the league. He even played first base and pitcher for the American All Star Little League team. A CAF grant will ensure that Keith has the coaching he needs to continue playing baseball.